We made a great blouse design. This design is quite stylish and fit. 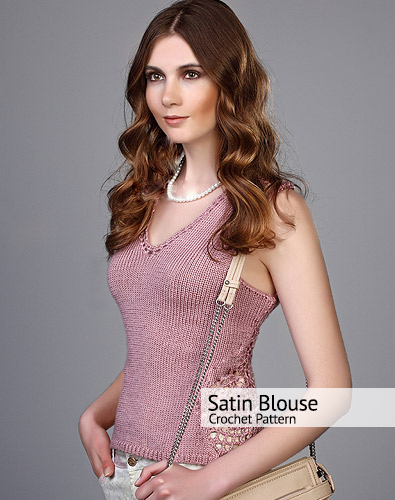 This blouse is sleeveless and has a wide collar. Collar, shoulder and waist pattern have a pretty nice appearance. 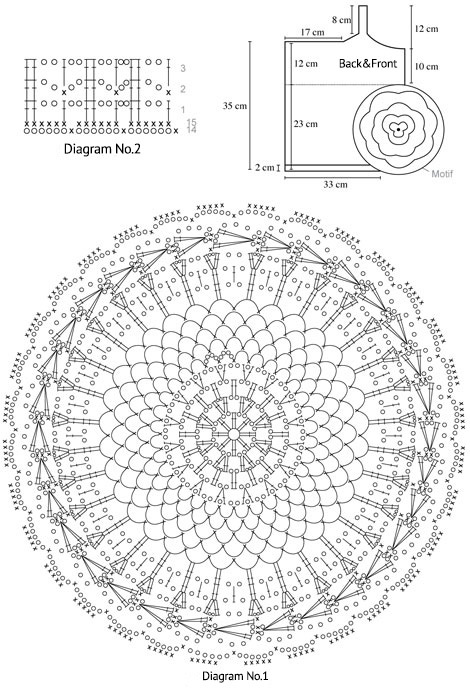 This crochet pattern will be a great work for those experienced. You can be confident that a great result will be produced when you carefully monitor the insturictons steps. We have prepared all the patterns related to the pattern, it will make your job quite easy. I can reply to your question about the pattern from my blog. 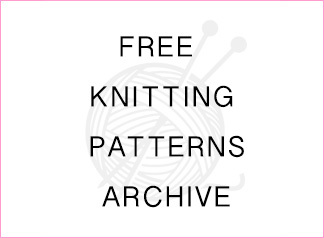 Make 1 pattern applying diagram no.1 and 2 patterns knitting 9th row of diagram no.1, ensuring 3 patterns totally. As shown in the body schematic, while placing big pattern on the back upper part and 2 small patterns on back lower part, apply diagram no. 2 and join the patterns. Work the 10th row of diagram no.1 for the edge of the hem and then bind off. Cast on 78 stitches. Rib 1×1 for 2 cm and change to knit stitch. Cast off 1 stitch 9 times in every row at both sides. Knit body for 13 cm, Increase 1 in every row 12 times at both sides and continue knitting with 84 stitches. When the body measures 30 cm, cast off 4+4+3+2+1 stitches at both sides for the armhole. Knit body for 13 cm and center the stitches for the neck. Continue knitting in 2 pieces. Cast off 1 stitch at both sides of the neck 7 times spacing 2 rows. When the body measures 49 cm, cast off each 21 stitches remaining on the shoulders and bind off. Apply diagram no.2 for 3 cm to the back neck. Work 1 row of classic meash and 1 row of classic trellis on the front side and bind off. Where are the crochet instructions? I only see knit instructions. It is a beautiful blouse I would wear on a hot date with my husband! !